Empowering our community to positively impact society. Berkeley Cares builds on Berkeley College’s long tradition of addressing important social, economic, and environmental issues in the community. Each year, faculty, staff, students, and alumni provide thousands of hands-on volunteer hours, supporting organizations in the critical areas of food, health, shelter, and student success. 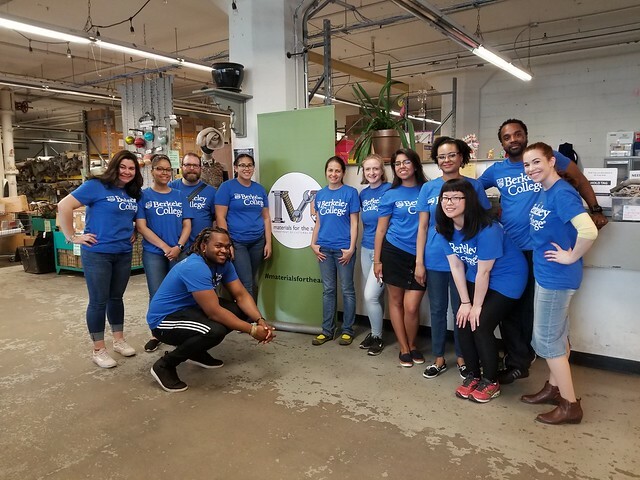 Community service efforts align with the mission and values of Berkeley College, exemplifying the idea that teaching and learning take place both in and out of the academic setting. During Community Service Week, the largest annual initiative of Berkeley Cares, members of the College community serve as ambassadors of social responsibility at dozens of nonprofits and local organizations in New Jersey and New York. Through Community Service Week, Berkeley College provides local organizations with hundreds of alumni, faculty, staff and student volunteers for service projects. This year, Community Service Week will be held from Sunday, May 19, through Friday, May 24. Community organizations can request volunteers by clicking here. To learn more about Berkeley Cares on your campus, or to request volunteers for your organization, email BerkeleyCares@BerkeleyCollege.edu. Contact the Office of Student Development and Campus Life at your campus to learn about upcoming community service initiatives.